No one who is serious about sports or working out, or who does a lot of heavy lifting at home or on the job, should be without magnesium oil. 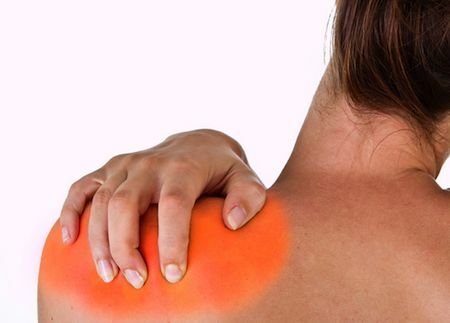 No other natural remedy does more to relieve the pain of muscle strain. Magnesium oil is an essential and extraordinarily useful therapy for helping muscles repair and grow into a stronger cell structure, after a weights or resistance workout. Until recent times, people have only really considered taking any kind of magnesium supplement, orally, one assumes because we live in a ‘prescription pill’ culture and we are so used to ‘popping pills’, any other way of taking a supplement would seem alien. But, the health benefits of magnesium oil are no longer being over-looked by individuals seeking natural alternatives to pharmaceutical drugs. Although it is called ‘oil’, this is a contradiction, because it is not really an oil. Rather, it is a magnesium solution mixed with other trace minerals, that because of the magnesium concentrate in the liquid, feels oily. Magnesium oil can help you sleep better by reducing the bodies cortisol (stress hormone) levels and raising your melatonin (sleep hormone) levels, and regular massages can also relieve symptoms of arthritis and joint pain. Before we explain what magnesium oil does for muscle pain and muscle cramps, let’s first consider what it does not do. It’s hard to read an article about any natural health remedy without seeing some reference to inflammation. We all are told that inflammation is always bad, and that anything anti-inflammatory is beneficial. The truth is, however, that there is some truth to the old training adage, “No pain, no gain”. Does Magnesium Oil Have a Beneficial Role in Bodybuilding? Bodybuilders and people who are serious about working out, know all about breaking down muscles with a resistance or weights session, repairing and rebuilding them into a larger mass than they were. Muscles rebuild themselves after they have been pushed to the limit. The tough, tubular light and dark bands of muscles are composed of myofibrils, bands of muscle tissue that give them strength. And the myofibrils are in turn composed of sarcomeres, tough, long proteins that slide past each other to enable the muscle to expand and contract. A single muscle cell in the bicep, for example, can contain as many as 100,000 of these muscle fibers. Before the sarcomeres can build up, they have to break down. That is accomplished by inflammation – a resistance or bodybuilding muscle workout that literally ‘injures’ the muscle. If you stop this kind of inflammation before it starts, you don’t get muscle growth. Even worse, if you use certain non-steroidal anti-inflammatory drugs (NSAID’s) like aspirin and Tylenol on a regular basis, you interfere with the process of inflammation and then rebuilding your body needs to maintain the cartilage that holds muscles and joints in place. A little inflammation in your muscles is actually a really good thing. But you don’t have to endure serious pain to get the often-overlooked benefits of inflammation. Peripheral nerves transmit a signal informing the brain of inflammation in the muscles. The signal jumps from the peripheral nerve to the spinal cord and from the spinal cord to the brain. Every time this signal is transmitted, a tiny burst of electricity has to jump each of the synapses, or gaps, between the nerve cells. Electrons traveling from nerve to nerve are negatively charged. Calcium and magnesium, which are typically found in the fluid around a nerve and inside it, are positively charged. For a negative charge to ‘jump’ across the synapse, some of the positively charged calcium and magnesium ions have to get out of the way. There are receptor sites, analogous to ultramicroscopic loading docks, that admit calcium into nerve cells before they ‘spark’. But because magnesium and calcium are about the same size and have the same charge, magnesium can ‘park’ at a receptor site that would ordinarily be activated by calcium. The neuron doesn’t fire quite as strongly, or maybe it doesn’t fire at all, when it would be transmitting pain signals from the muscles, if magnesium blocks the action of calcium. Unlike common over the counter pain relief medicines, magnesium does not interfere with the muscle’s rebuilding and growth, but like both non-prescription and prescription only pain relievers of all kinds, it stops the perception of pain. How Do We Know Magnesium Stops Muscle Pain? There are over 60 peer-reviewed scientific papers in medical literature about the use of magnesium for the relief of muscle pain. Not a single one of them was written with objective of selling magnesium oil, which makes those articles all the more informative and impressive. Doctors at the Ministry of Health Training Hospital in Turkey have found that magnesium, when taken with folic acid and vitamin B12, relieves chronic myofascial pain, unremitting pain in facial muscles. Because other trace minerals are also helpful for this kind of muscle pain, magnesium oil, which contains trace elements in addition to magnesium, is the best supplement choice among minerals. Doctors at the Samsung Medical Center in Seoul have found that adding magnesium therapy to medications used for nerve blocks for chronic pain helps the pain block work longer. Tension headaches are driven by tight muscles underlying the scalp. Magnesium is useful for fighting many kinds of headache, but especially tension headache. There are multiple reports of success in using magnesium oil and a specific oral magnesium supplement called magnesium malate for the chronic muscle pain caused by fibromyalgia. The pain relief is never 100%, but almost always substantial. There is no doubt that magnesium relieves muscle pain. But what is the best form of magnesium to take? Magnesium supplements, the kind of magnesium you take by mouth, definitely relieve muscle pain. How well they relieve pain, however, depends on a number of variables, including what you ate and what you drank when you took the supplement. Most of the time, most of a magnesium supplement is not absorbed, particularly if it is the ‘wrong’ kind of magnesium, such as the barely soluble supplement, chemical magnesium oxide. Magnesium oil, however, is primarily magnesium chloride, the best absorbed form of magnesium which you massage into your skin. Far more magnesium gets into your bloodstream from magnesium oil than from magnesium supplements, although there is no reason not to take both for maximum coverage, for times you sweat or wash away magnesium oil from your skin. But, if you do take it orally, you must beware of the side effects that magnesium oil does not have, like having a laxative effect. 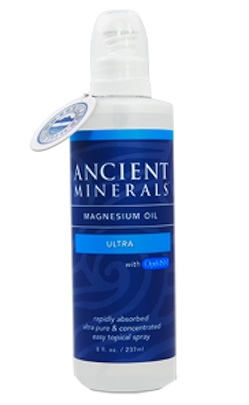 The best way to use magnesium oil for muscle relief and relaxation is a soothing magnesium oil massage. Rub the oil on your skin generously, and don’t get in a hurry to wash it off. You do want to keep magnesium oil out of your eyes and nose, though, since it is a salt water solution; only with magnesium rather than sodium, as the primary salt. Use magnesium oil after every workout, after you shower and towel dry, and take magnesium supplements on your off days for additional protection from the pain of muscle inflammation. Lee AR, Yi HW, Chung IS, Ko JS, Ahn HJ, Gwak MS, Choi DH, Choi SJ. Magnesium added to bupivacaine prolongs the duration of analgesia after interscalene nerve block. Can J Anaesth. 2012 Jan;59(1):21-7. doi: 10.1007/s12630-011-9604-5. Epub 2011 Oct 20.Moulin DE. Systemic drug treatment for chronic musculoskeletal pain. Clin J Pain. 2001 Dec;17(4 Suppl):S86-93. Okumus M, Ceceli E, Tuncay F, Kocaoglu S, Palulu N, Yorgancioglu ZR. The relationship between serum trace elements, vitamin B12, folic acid and clinical parameters in patients with myofascial pain syndrome. J Back Musculoskelet Rehabil. 2010;23(4):187-91. doi: 10.3233/BMR-2010-0264.